In this Roundtable edition, we asked our experts: When it comes to public perceptions of robotics and AI, what are your pet peeves? Are there things you wish people would listen to a little more closely? Check out the answers below. This Roundtable features Sabine Hauert, Audrow Nash, AJung Moon, Samantha Payne, Frank Tobe, Kassie Perlongo, and John Payne, all providing a range of perspectives across the board from academia, research, business, and the general public. You just can’t get away from it. As the field of robotics makes incremental steps towards better understanding and evolving more useful technology, headlines and hackneyed hype creep back onto the front pages. You’ve heard it all before: Will robots take over? Robots will take your job. The Terminator could become real soon enough. Loyal Robohub readers know that our mission is to promote high-quality, balanced, robotics related news, research, opinions, and everything in between, on what’s happening globally as this discipline continues to challenge the boundaries of technology. We look to experts for the vast majority of our content and provide scientists a platform to discuss their research in their words, without media spin. It can be stressful and upsetting when a carefully crafted piece, interview, or discussion is misquoted, or “spun” a certain way. Hours of carefully constructed work gone, and the focus is diverted from research towards damage control. Or perhaps the time spent planning an informative lecture on how robotics can be instrumental to fill gaps in health care (for example, in nursing) is undone when a two-way dialogue devolves into anxiety and ranting about how robots are stealing jobs from people. “Number one – hype: The portrayal of robotics and AI in the media often does not correspond to the reality of what is achievable today. There is too much science fiction, too few facts. Number two- opportunism: Robotics is used as a sales gimmick to do everything from raise money for institutions that would like to prevent a robopocalypse, to sell conferences, media, and products that are often disconnected from robotics. Number three – difficulty: It’s still so hard to make robots that are useful outside of the lab. I always feel things should be moving quicker, yet we are still solving one problem at a time in a laboratory setting. As an example, I recently tried to purchase off-the-shelf aerial robots to do swarm work, assuming the technology had advanced enough since my PhD, 6 years ago, for this to work out of the box. Wrong – the problems were exactly the same as when I was studying this, even though the single robot platforms are much better than before. Note that the difficulty also makes this field so exciting to research! “My pet peeve is the widespread focus on designing machines to do the obvious things, what people already do pretty well and don’t mind doing, when the greatest benefits to be had from robotics are likely to come from designing machines for less obvious needed tasks that are currently neglected, because people either can’t or won’t do them. “Hype. 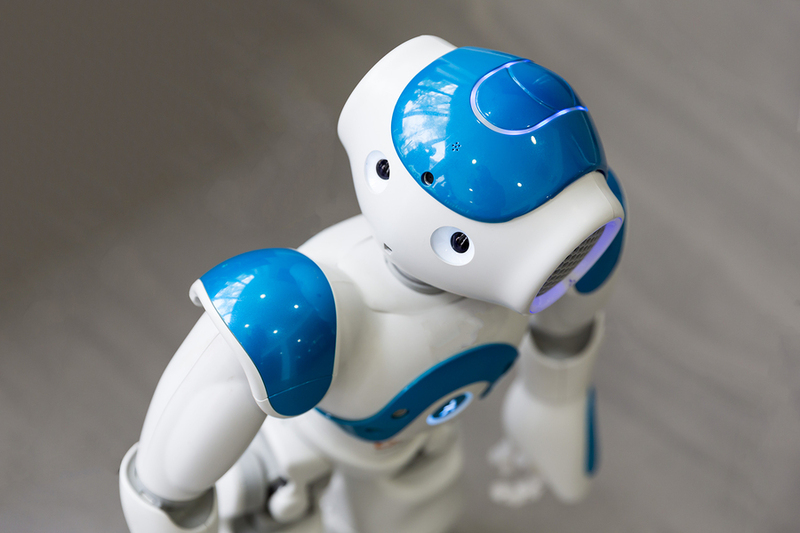 Robotics is used a buzzword used by marketers and journalists to make eye-catching copy. Often they’re not interested in reporting the actual way a robotic device works, they want to paint a simple picture and hint at possible implications for the future. It’s annoying because journalists are medium and should report accurate information about technology. We often hear people expecting terminator bionic arms because of stories they’ve read reporting with inaccurate details. Key point is the number of ‘mind-controlled’ bionic arms reported in the news when they all rely on muscle sensing. Do you feel we covered a number of the aspects? Anything else you would you add? Let us know in the comments!